I am currently enrolled in the school of retirement after 41 years as a data nerd in the Information Technology (IT) world. I am a suburbanite transported to a life in the country. I am a fair-weather cyclist that enjoys hiking in the winter. 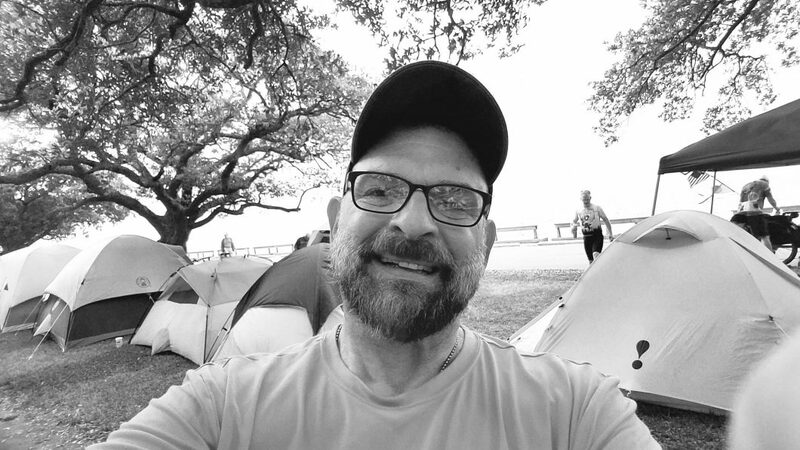 I am a gay baby boomer and have been with my husband for over 28 years, married since 2009. I am a volunteer who loves being socially connected. I am an analytical planner who struggles with the balance of that rigid structure in retirement. I am honest, sometimes too honest, as well as, stubborn, often too stubborn. I am liberal living blue in a red world. I am a creative soul who uses my talent to grow myself and my community. Bike. Bike. Bikes. I have lived my life across Ohio mostly in NE Ohio. I fell in love with computers at Kent State in 1974, the Stone Age of IT. I made it my career spending 41 years going down that path, most of it as a Data Architect. I was a sedentary person struggling with my weight. I was in a love affair with my TV. My life changed in 2005 with a heart attack and triple coronary bypass. Soon after I had bariatric surgery as I was frustrated with my constant weight gain. Surgery transformed my life. I became active and fell in love with my bike. My time on the saddle is my happy time. I retired from the stress and rigor of IT in early 2017. I knew something about what retirement had in store for me, mostly riding my bike as much as I can. I maximized my new-found freedom with multiple bike tours in that first year. I finished the year on a two-week cycling tour of Austria and Hungary. Amazing! After that first year, I came to realize that retirement is not so cut and dry as I imagined. I need an owner’s manual on navigating my new freedom while having some semblance of order. I did a fair amount of reading and research and came to the realization that retirement does need three components; a passion, community and some structure. I am writing that retirement owner’s manual to be the happy, healthy, active retired guy. My passion is being a socially connected person. I am exploring what that means now that I am living in somewhat of a foreign land to me. I know that my owner’s manual will be built on my past experiences and talents while opening myself to new and unknown things. I enjoy writing and have blogged in waves since 2006. I aim to blog regularly on where I am going. I am sharing how diet, fitness and my health are crucial in my pursuit of happiness. That writing is certain to have an occasional rant or rave on something that just makes me mad or happy. Stay around and check-in on progress on writing the owner’s manual of Tom.